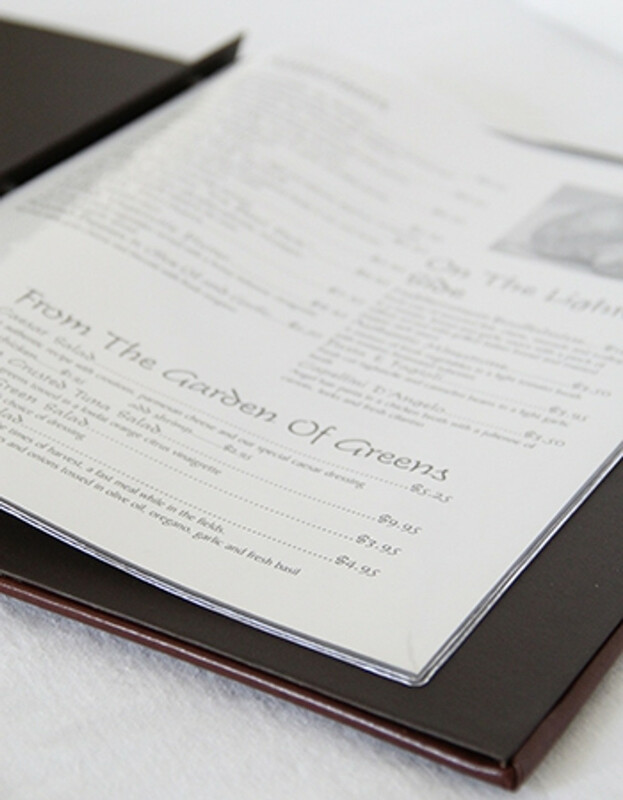 Protect your printed menu pages with our all clear page protectors. All Clear Page Protector Pockets are made from crystal clear heavy duty menu grade vinyl with three hole punch. Top loading. Fits any of our three ring binders or screw post menu covers. We have many more sizes than what is listed here. Contact us for details.